Bed and Breakfast | Guest House Casa Don Carlos is more than alone a B&B, it’s a Boutique Hotel, Inn. It stands for a peaceful and quiet place to stay with a breathtaking view. Alhaurin el Grande is situated just 25km from the airport and Málaga, Torremolinos, Benalmádena and also not far from Marbella, Mijas and Ronda. 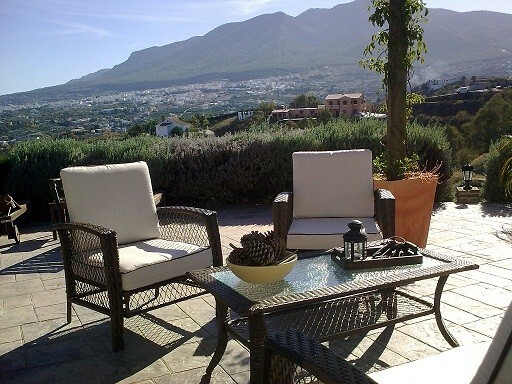 Ideal as base camp for your trips around the Costa del Sol and the inland of Andalucía. We have 4 standard double rooms,beds with separate mattresses and cotton linen (allergy free). They have all a private bathroom with a washstand, toilet and shower. The measurements of the mattresses are (2,0*0,80 mtr.) and very comfortable. All room have air conditioning / heating. If you like a swim in our pool just ask for special towels (free). In our lobby we have a laptop for free internet or use our free WIFI network. It's not allowed to smoke inside our Casa and we accept no pets. The terrace of this Andalusian Bed & Breakfast | Guesthouse Casa Don Carlos has a lot of different lounge areas all with a stunning and breathtaking view over the valley and Alhaurín el Grande. You can see even the Sierra Nevada. The Outside Kitchen has a "Honesty - Bar" where you can help yourself with coffee or the, refreshments and alcohol drinks, ice cream and snacks. Casa Don Carlos serves lunches and/or dinner upon request (just give us notice in the morning) in summer of course outside on the terrace. A little bit lower in our garden (10.000 m²) at the foot of rock-wall you'll find the swimming pool (10x5m) met sun beds. On the slopes of the other mountain we planted olive, almond, avocado, orange and lemon trees. Our property and parking space is all fenced you get your own set of keys. Our location is not really suitable for small kids but that means not that they are not welcome! The prices of B&B Casa Don Carlos are based on two persons per night, including VAT and breakfast. All prices are per room per night and include our elaborate breakfast and 10% VAT. The prices of B&B Casa Don Carlos are based on two persons per night and include VAT and breakfast. We offer a 10% discount if a room is booked for one person. 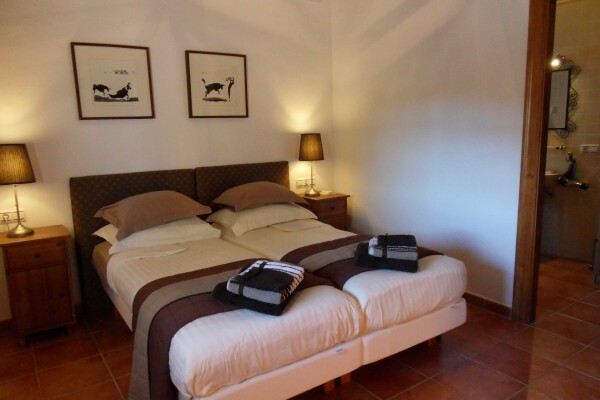 We offer a 5% discount for a booking of seven or more consecutive nights. There is a €10,- surcharge when booking the rooms for one night only. We do not have a minimum stay. Breakfast is served between 09.00 and 10.30 hrs. from a buffet near our terrace from early spring to late Autumn. After a day in the countryside makes you hungry. From the principle of "let see what we have for dinner". and we finish with coffee or tee and chocolates. Just give Carlo notice in the morning if you stay for lunch and / or dinner with all the other guests and Ronald & Carlo. No problem, our property is all fenced. You can rent a BMW R1200GS (Adventure) BMW F800GS. Exploring the roads of Andalusia and stay in our B&B is a perfect combination. We don't have pets and are also not allowed. In our lobby we have a laptop for free internet or use our free WIFI network with your own device. 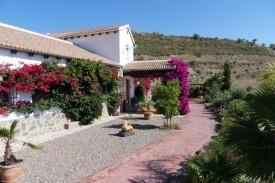 No experiences yet with B&B Guesthouse Casa Don Carlos. Be the first! Did you stay in B&B Guesthouse Casa Don Carlos? Let us know what you thought about it and help others to make the right choice! * I confirm having stayed in B&B Guesthouse Casa Don Carlos. Find other bed & breakfasts in Alhaurín el Grande, all bed & breakfasts in Málaga or all bed & breakfasts in Andalusia.